Bad Boy is an old-school brand that came into being in 1982 from San Diego, California. Not only that, but they are also one of the original supporters of Mixed Martial Arts (MMA) and Brazilian Jiu-Jitsu (BJJ) tournaments all across the globe. They earned their reputation because of their dedication to promoting BJJ via sponsorships of competitions and athletes. As a brand for BJJ, Bad Boy does not hold back on their prowess. 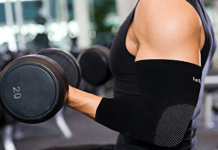 Their products cover a wide variety of sports, from shirts to straight up gis and even accessories such as bags or kits. Bad Boy provides athletes with high quality and innovative gear that is sure to enhance the performance of whoever uses it. Some of their best contribution to BJJ gis are given below. The Pro Series Champion Gi lives up to its name as it meets the most demanding expectations of someone in a competition. The gi is built from a pearl weave fabric with 450 grams of density per square meter. 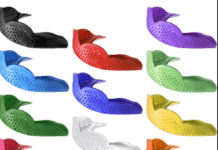 For the collar comfort, it includes an Eva foam attachment that restricts your opponents from easily grabbing you for a lock; it also contributes to some good moisture management. The entire Gi also comes pre-shrunk so that it can easily adjust to your body after you wash it the first time. 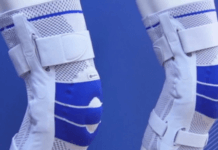 To give you some assurance of durability, all the major stress points such as elbows and knees have been reinforced but without the sacrifice of movement. 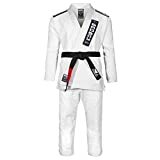 Overall, the Champion Gi from Bad Boy provides you with a balanced product that features both strengths and is lightweight. The Bad Boy Defender gi is designed to accompany you to the harshest of your training sessions. To endure those harsh circumstances, the gi has to be robust and it definitely has that trait. It is made out of a strong pearl weave fabric, utilizing 100% premium cotton. Regardless, of the 350 grams per meter fabric density, it is very relaxing and offers a full range of movement. 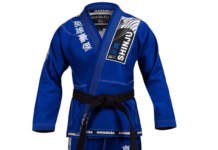 This gi also has that Eva collar for soaking up your sweat and is overall lightweight. 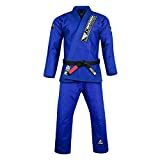 The unique thing about this gi is that it has 3 layers or triple stitching in stress areas to prevent wear and tear during rigorous training sessions. The Defender gi also comes pre-shrunk so that it can adjust to your body. 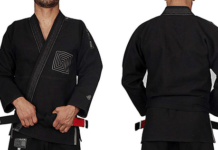 According to Bad Boy, the Warrior Gi is a great tribute to the warrior from the ancient times. In other words, the brand wants to honor the wearer of this gi as a distinguished competitor. Now onwards to the specifications, the gi is very strong compared to the others as it has a density of 450 grams per meter. The fabric is also pearl weave and utilizes pure premium cotton. The cool feature is the fully sublimated rashguard through the patches and lining on the torso. There is triple stitching on the stress points and has neoprene drawstrings for quick and sturdy adjustment of your pants. Lastly, it also comes pre-shrunk like all their products but Bad Boy also gives you a customized BJJ Backpack. The Bad Boy Premium Lightweight BJJ Gi is a worthwhile product for anyone who is an enthusiast of this sport. 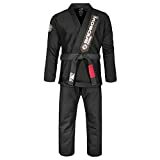 This is because of the lightweight attributes of the gi, it makes for a perfect selection when you train frequently and on a strict schedule. The fabric of the gi is made out of premium cotton and has a strong 350 grams per square meter of pearl weave stitching. The best aspects of this gi are that it gives superior comfort and flexibility while also having a strong foundation. There are reinforced splots and extra lapels and it is reinforced with triple stitching on the stress areas. As always, the gi comes pre-shrunk so that it can fit your body.